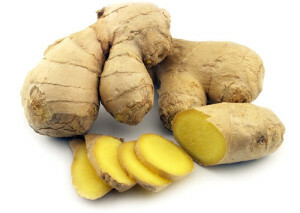 Want to Lower Free Radical Damage and Inflammation? As we enter summers last month, with vacation travels tapering, HU-Healthy series continues our highlight of Dr. Josh Axe’s top seven reasons why HUmic Acid MINERAL. I just finished a 3-state customer visit trip to the Midwest. As I sat in airports and boarded planes, I was reminded of the daily planet pollutions we take in and the free radicals we are exposed to daily. Great timing, as we look at FREE RADICAL DAMAGE AND INFLAMMATION and how HUmic Acid MINERAL is an effective antioxidant and electrolyte. HUmic/Fulvic Acid MINERAL contains antioxidants that counter the effects of free radicals and also help detoxify the body of many toxins that contribute to the problem: chemicals used in agriculture, radioactive waste and heavy metals, for example. It also helps extend the permeability and life of cells by providing electrolytes that have numerous functions within the heart, muscles, brain and digestive tract. America’s culture of prescription drugs plays a role in weight management – and also affects gut health. Antibiotics, are the most-prescribed medication in America. Nearly 70% of Americans are on at least one prescription drug and more than half, on two. Antidepressants are the second-most prescribed drug in the U.S., and many of those drugs have been linked to weight gain. Antibiotics contribute to weight gain and other health issues, such as LEAKY GUT SYNDROME and ANTIBIOTIC RESISTANCE, thanks to their effect on gut health. Antibiotics are prescribed to rid the body of bad bacteria. However, in the process, they wipe out the good bacteria, this is why antibiotics can be dangerous. Good bacteria, also known as probiotics, are integral to GOOD GUT HEALTH and maintaining a healthy balance between good and bad bacteria. 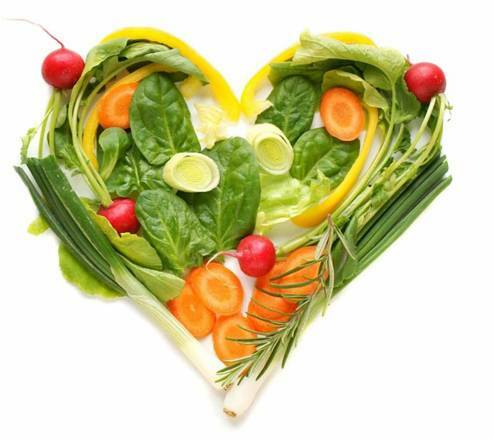 ** See HUmineral’s BLOG, March edition HU-Healthy Share on “Got a GOOD GUT”. 2014 Jun;24(2):106-12. doi: 10.3109/08982104.2013.839998. Epub 2013 Oct 21. The impact of HUmic and Fulvic Acids on the dynamic properties of Liposome Membranes: the ESR method. Man D1, Pisarek I, Braczkowski M, Pytel B, Olchawa R.
1Institute of Physics, Opole University , Opole , Poland . This paper presents the results of research on the influence of two fractions of humic substances (HS): fulvic acids (FA) and humic acids (HA), as a function of concentration, on the liposome membranes formed from egg yolk lecithin (EYL). The concentration of HS in relation to EYL changed from 0% to 10% by weight. The influence of HS on various areas of membranes: interphase water-lipid, in the lipid layer just below the polar part of the membrane and in the middle of the lipid bilayer, was investigated by different spin labels (TEMPO, DOXYL 5, DOXYL 16). The study showed that HA slightly decreased the fluidity of the analyzed membranes on the surface layer, while FA significantly liquidated the center of the lipid bilayer. The strong effect of both fractions of HS on the concentration of free radicals as a function of time was also described. 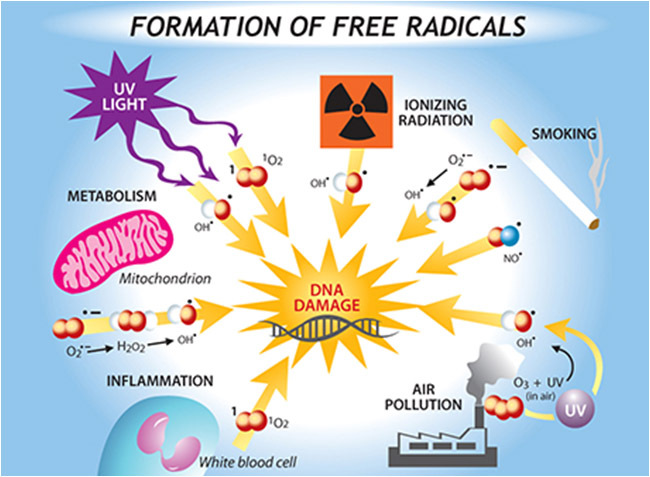 Free Radicals and Antioxidants in normal Physiological Functions and Human Disease. 1Faculty of Chemical and Food Technology, Slovak Technical University, SK-812 37 Bratislava, Slovakia. With summer in full swing we continue our HU-Healthy series highlighting Dr. Josh Axe’s top seven reasons why to use HUmic Acid MINERAL. 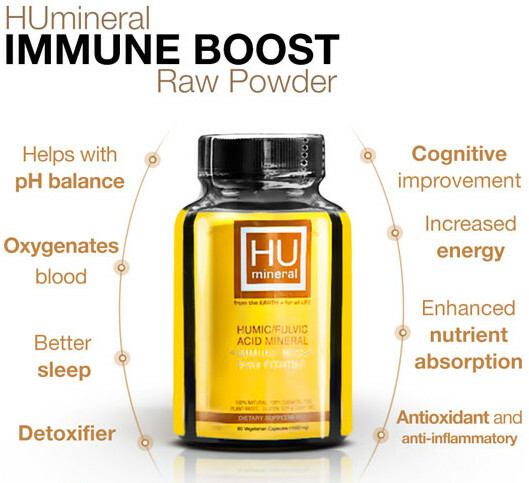 In the last few HU Healthy Shares, we learned how HUmic Acid MINERAL is good for digestion, a good gut, collagen and improving energy. This month we look at DETOXIFICATION with HUmic Acid MINERAL and Zeolite Detox. Within the environment, HUmic/fulvic Acid MINERAL is found not only in soil and rocks, but also streams, lakes and ocean water. HUmic Acids form complexes with ions that are commonly found in the environment, creating tight HUmic colloid bonds that help with water filtering, agriculture processes and detoxification. The presence of carboxylate and phenolates within HUmic Acids gives them the ability to act like natural chelators, which means they form chemical complexes that are important for regulating bioavailability of metal ions like iron, calcium, magnesium and copper within the human body and environment. Studies have found that HUmic Acids have ion-selective electrodes that can be used for attracting heavy metals – even for filtering soils and water because they help bind to things like copper and iron. Research shows they’re even effective at geochemical processing of soils and aquatic environments at much lower concentrations than other types of compounds. Chelation therapy is considered an alternative medicine for removing “heavy metals” and toxins from the body. Why would someone experience heavy metal toxicity? Heavy metals are more common than you think. If you have mercury fillings in your teeth, been vaccinated to prevent various diseases, eat farm-raised fish, consume foods that are grown in foreign countries (like China) that are not organic, been treated with radiation or chemotherapy treatments, in essence if you are breathing, you’re likely experiencing some heavy metal toxicity. Chelation therapy involves a chemical solution called EDTA (ethylenediaminetetraacetic acid), which is administered into the body – usually directly injected into the bloodstream – so it can bind with excess minerals. Once bound to “toxins” in the body, EDTA helps detox the body, by removing toxins before imbalances and illnesses can develop. The Uncomplicated Daily Cleanse (no restroom issues, no diet changes, no mixing, no measuring). HUmineral Raw Liquid ZEOLITE Daily DETOX/CLEANSE, volcanic ash, forms a molecular trap that has the ability to selectively sort molecules, based on size. It is particularly well suited to capture inorganic metal ions in its lattice work structure. Zeolites have been used in industry, animal husbandry and human nutrition for decades due to this quality. Extra Benefit: A daily detox that allows you to stay dedicated to your daily activities, without monitoring/substituting diets or restroom locale. Children to adult. 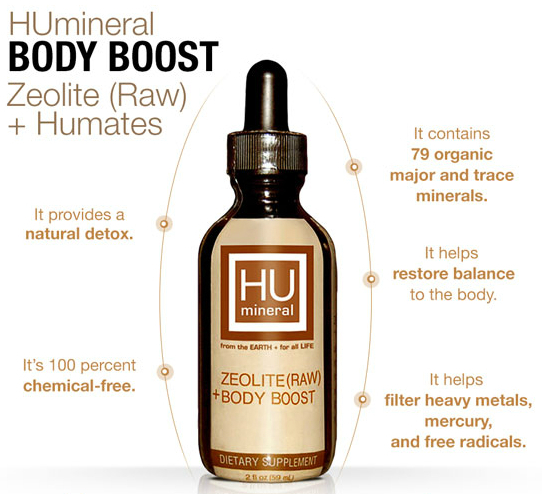 HUmineral ZEOLITE – A Dual Benefit! HUmineral Raw Liquid ZEOLITE is a combination product. While supplying Zeolite to help remove potentially toxic metal ions from the body, it also contains HUmates supplying some 80 MAJOR & Trace Organic MINERALS in organic form which replenish necessary minerals to the cell, restoring balance the body. Environ Sci Technol. 2005 Jul 15;39(14):5319-26. Effect of HUmic and fulvic acid concentrations and ionic strength on copper and lead binding. Christl I1, Metzger A, Heidmann I, Kretzschmar R.
We investigated the influence of humic and fulvic acid concentration (in the range of 1-1000 mg/L) on the binding of the two trace metals Cu(II) and Pb(II). The ability of the non-ideal competitive adsorption (NICA)-Donnan model to correctly predict Cu and Pb binding at low humic or fulvic acid concentration and lower ionic strength (0.01 M NaNO3), based on model parameters obtained from experiments conducted at high humic or fulvic acid concentrations (approximately 1000 mg/L) and higher ionic strength (0.1 M NaNO3), was tested. The binding of Cu and Pb to humic and fulvic acid in 0.01 M NaNO3 was determined over wide ranges in proton and metal ion activities using three different methods: ligand exchange-adsorptive differential pulse cathodic stripping voltammetry at low humic or fulvic acid concentrations (1-3 mg/L), differential pulse anodic stripping voltammetry at intermediate humic or fulvic acid concentrations (10-20 mg/L), and ion-selective electrodes at high humic or fulvic acid concentrations (approximately 1000 mg/L). The results demonstrate that binding isotherms for Cu and Pb can be measured at low humic or fulvic acid concentration using suitable voltammetric techniques. The binding isotherms for Cu and Pb to humic and fulvic acid obtained at constant pH values in the range of pH 4-8 are shown to be independent of humic and fulvic acid concentration. The NICA-Donnan model, calibrated for Cu and Pb binding using data measured at high humic and fulvic acid concentrations and an ionic strength of 0.1 M, accurately predicts Cu and Pb binding at low humic and fulvic acid concentrations and lower ionic strength (0.01 M). We conclude that NICA-Donnan parameters obtained by fitting experimental data measured with ion-selective electrodes at high humic or fulvic acid concentrations can be used for geochemical modeling of soils and aquatic environments with much lower concentrations of humic or fulvic acids. while you are living life! Humic/Fulvic Acid Mineral not only provides raw nutrients, but also transports minerals to the cell more effectively, boosting the absorption rate of the nutrients by making cell more permeable and fights inflammation within the digestive organs. Humic mineral provides the body with an ideal form of major and trace minerals that can be easily absorbed and utilized by the body. As with anything the body doesn’t need or can’t use right away, it either stores the excess or excretes it. A 2011 study published in the Journal of Alzheimer’s Disease found that humic/fulvic acid has several antioxidant, Nutriceutical properties with potential activity to protect cognitive impairments, including Alzheimer’s disease. A contributing factor to the development of cognitive disorders is free radical damage and also a type of protein called tau, but studies show that humic/fulvic acid helps lower the length of tau fibrils and their morphology, disassembling their performance and stopping disease progression. The researchers concluded that humic/fulvic acid is likely to provide new insights in the development of potential natural treatments for Alzheimer’s disease. Alzheimer’s disease is a brain disorder that progressively causes memory loss, dementia, and early mortality. 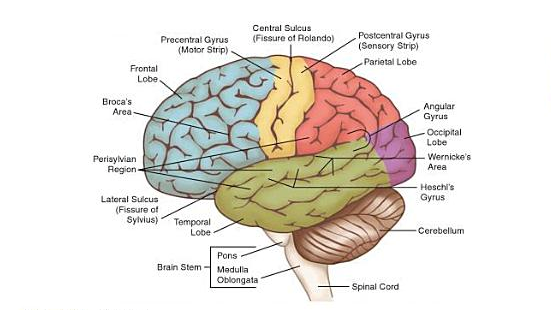 Memory loss is caused when plaque forms in the brain. There are several theories including free radical damage, an inability to use glucose properly, vitamin deficiencies, or environmental toxins. This illness affects over half of people over 85 in the United States. The good news, there are Alzheimer’s natural treatments that can effectively improve this condition. Organic, Unprocessed Foods – Make sure diet includes plenty of “real foods”. Vegetables and clean meats, fruit in moderation. 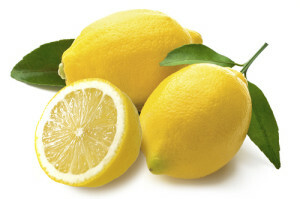 Antioxidants such as; Vitamins A, C, E – There may be some connection between free radicals and Alzheimer’s. Antioxidants help combat damage caused by free radicals. Colorful fruits/vegetables are high in antioxidants and should be consumed at every meal. Wild-caught Fish – A great source for Omega-3 fats, DHA specifically which are critical for brain health. Foods high in Zinc – Many people with Alzheimer’s are deficient in zinc. Foods high in zinc include pumpkin seeds, grass-fed beef, and dark chocolate. Coconut oil – Coconut oil provides brain with ketones, brain can use instead of glucose. Any food containing Toxins or Additives (processed foods) – These foods can possibly be neurotoxic. One of the causes of Alzheimer’s may be chemicals or toxins in food. Alcohol – Alcohol is a toxin and can cause brain cells to die faster than normal. Tap Water – Tap water may contain environmental toxins, select purified bottled water instead. Sugar/Refined Grains – Alzheimer’s may be caused by insulin resistance, similar to diabetes, therefore keeping insulin low by eliminating sugar/refined grains an important component in maintaining brain health. Foods packaged in Aluminum Containers – Aluminum is neurotoxic at high levels, best to avoid. 1. Fish Oil high DHA (1,000mg daily), Critical for brain function/reduces inflammation. 2. Vitamin D3 (5,000 IU daily). Required for brain function. 3. CoQ10 (200mg daily), CoQ10 decreases as we age. Ubiquenol, another good option. 4. Ginkgo Biloba (120 mg daily, Improve brain circulation/memory. 5. Phosphatidylserine (300 mg daily), Improves brain cell communication. 6. Astaxanthin, carotenoid antioxidant in wild caught salmon (2-4g 2x daily), supports brain health. Humic/Fulvic Acid inhibits aggregation and promotes disassembly of tau fibrils associated with Alzheimer’s disease. Cornejo A1, Jiménez JM, Caballero L, Melo F, Maccioni RB. Author: 1International Center for Biomedicine (ICC), University of Chile, Ñuñoa, Santiago, Chile. Alzheimer’s disease is a neurodegenerative disorder involving extracellular plaques (amyloid-β) and intracellular tangles of tau protein. Recently, tangle formation has been identified as a major event involved in the neurodegenerative process, due to the conversion of either soluble peptides or oligomers into insoluble filaments. At present, the current therapeutic strategies are aimed at natural phytocomplexes and polyphenolics compounds able to either inhibit the formation of tau filaments or disaggregate them. However, only a few polyphenolic molecules have emerged to prevent tau aggregation, and natural drugs targeting tau have not been approved yet. Fulvic acid, a humic substance, has several nutraceutical properties with potential activity to protect cognitive impairment. In this work we provide evidence to show that the aggregation process of tau protein, forming paired helical filaments (PHFs) in vitro, is inhibited by fulvic acid affecting the length of fibrils and their morphology. In addition, we investigated whether fulvic acid is capable of disassembling preformed PHFs. We show that the fulvic acid is an active compound against preformed fibrils affecting the whole structure by diminishing length of PHFs and probably acting at the hydrophobic level, as we observed by atomic force techniques. Thus, fulvic acid is likely to provide new insights in the development of potential treatments for Alzheimer’s disease using natural products. 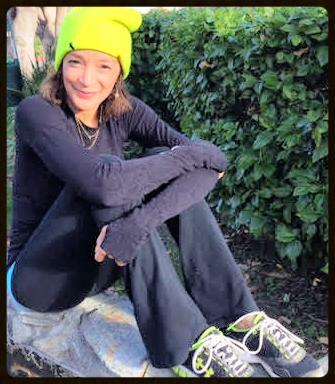 Every bitter thing is sweet …. if we have chosen to learn the lesson. I work at Life Food Organic and had not had a chance to try the HUmineral product. One day I was in my girlfriends car and saw the Humic Hydration Mineral Spray, I sprayed my face and hair and immediately noticed a difference and I felt energized is the only way I can explain. 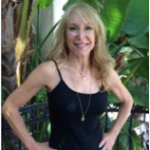 I was recently introduced to the HUmineral product in a Healthy Market in Marina Del Rey, CA, I am using the pills and the Skin Spray. Immediately I noticed energy with the pills. I am a swimmer and am loving the Skin Spray. I am 55 years old and type 2 diabetic, have a grueling schedule starting early, ending late. I use the Humic Powder Veggie Caps and the Zeolite and cant believe my ability to go, go, go. It definitely gives me energy and I sleep better, no bathroom issues. I also noticed a difference in my skin. It helped my discoloration on my skin, so I thought I would start using the Skin Spray and I do notice it is brighter, fresher or seems cleaner. Hard to explain, but I notice a difference. MINERAL nutrients are in the LEAF and throughout the plant. In our last HU Healthy Share, we dealt with Gut Health and Immune Function and how Humic/Fulvic acids contain a plethora of nutrients that improve gut health, including: major and trace minerals, electrolytes, fatty acids, silica (which boosts collagen synthesis), prebiotics and probiotics. These help nourish the digestive tract and also boost the ability of “good bacteria” to repopulate and form a healthy “microbiome” environment. Maintaining a healthy intestinal tract is critical for avoiding digestive problems. We continue our mission of “healthy at ALL stages”, through nutrition; specifically the power of HUMIC MINERAL nutrition. PLANTS ARE FOOD – Humic MINERAL is a FOOD in supplement form, nourishing and hydrating. HUmineral product is 100% chemical free, non-ingredient diluted, USA product, vegan, gluten, dairy, soy and SUGAR free and non-GMO. This month we bring you information from Dr. Josh Axe on his reports on Digestion and Nutrient Absorption and the associated health benefits of HUmic/Fulvic Acid MINERAL. Acquiring enough electrolytes and other trace minerals is important for proper metabolic functions, digestive health and nutrient assimilation. HUmic Acid supplies both MAJOR and Trace plant-based mineral. Organisms we obtain from humic/fulvic acid can be taken in small doses and still cause fast, significant improvements in the ratio of bacteria living in the gut, helping lower many unwanted digestive symptoms like constipation, bloating, diarrhea and food sensitivities. Constipation is slower than normal movement of food waste through the digestive tract. Generally accompanied by a variety of symptoms such as bloating, gas, back pain, fatigue. Besides providing raw nutrients, humic/fulvic acid transports minerals and other nutrients to cells more effectively, boosts absorption rate of nutrients by making cells more permeable, and fights inflammation within the digestive organs. 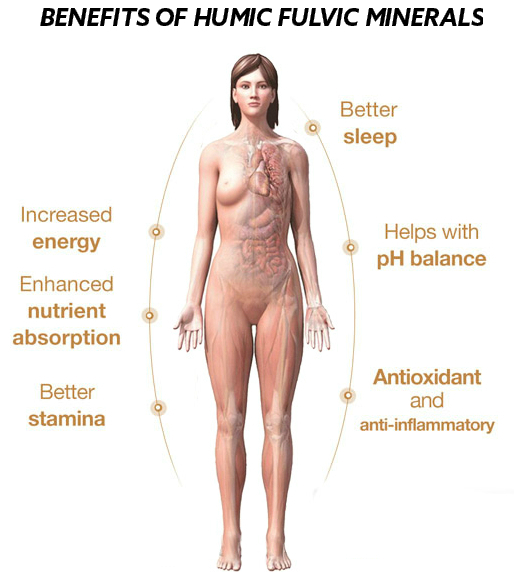 Another benefit of taking humic/fulvic acid as a supplement is that it helps restore the body’s optimal pH level. The minerals in Humic/Fulvic Acid MINERAL are used by the body to maintain the proper pH balance so the body does not become too acidic. Humic Acids may also be able to help prevent long-term illnesses from developing and improve defense against harmful bacteria, fungus, yeast and other organisms. We need a strong digestive system to build immunity, help control hormone production, regulate our appetite, reduce our stress response and much more. HUmineral Humic Acid Mineral products are 100% RAW, Chemical free (no chemical washing or stripping), undiluted, USA product. Vegan, Gluten, Soy, Dairy, Nut, Wheat, Sugar FREE, and non-GMO. Available: Liquid, Vegetarian Capsule and a Face/Skin/Hair Body SKIN SPRAY for all ages. We also carry ZEOLITE raw liquid w/HUmic added (a dual product). When the body metabolizes food (especially proteins) it tends to go acidic. Minerals are what keep the body in the proper pH balance. The major minerals that do the work are calcium and magnesium (which is why older people tend to get osteoporosis – because their bones are stripped trying to keep their body in pH balance). HUmineral non ingredient diluted Humic products carries both these minerals and understands how the body needs to use them. pH – Unhealthy pH is an imbalance of acidity and alkalinity that allows unhealthy organisms to flourish, damages tissues and organs and compromises the immune system. Constipation – The main and most common causes for constipation are a potassium deficiency, and low fiber and water diet. Magnesium is needed to retain potassium so taking magnesium (or Humic Acid which has a complete MINERAL table) will solve both, a magnesium and potassium deficiency because you’ll start to retain the potassium you get from your food. Also contributing factors of constipation: stress, inactivity, certain medications, an imbalance in intestinal flora, thyroid problems. STAY TUNED for a Candice’s Corner coming soon! You never know who is noticing your healthy glow! Regarding one of your products, Zeolite Raw + Body Boost w/Humic Mineral. I mentioned to one of my girlfriends that one of their guests looked great for her age and she said that she was taking HUmineral product. She said she didn’t know where she got it, but I could look online under HUmineral. I LOVE HUmineral’s product. I learned about the line about a couple years ago. I have taken the vegetarian capsules, Raw Liquid and use the Skin Spray everywhere. I can’t believe how much “younger” and natural my skin looks, really it is unbelievable. I use it on my hands, arms, hair, and recently started using it as a deodorant and body spray. I am extremely grateful for this product. There IS such a major difference in my skin, I really can’t believe it. Get the GLOW, naturally without CHEMICALS, DYES AND PERFUMES. Beauty starts internal, with HUmineral, non diluted, formulated to work product. USA, non-GMO, Raw, Vegan, SUGAR FREE, Chemical free, and Non-ingredient diluted product, formulated for maximum results in each bottle. 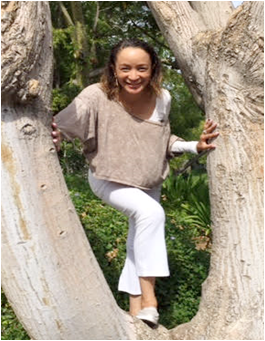 Candice’s Corner: Branch or Barrier? Are you a BRANCH or BARRIER? Branch: grows from the trunk or from a bough. It can divide into one or more subdivisions working in conjunction with and as an aid to its environment; is a tributary and allows for extension, expansion, creativity, growth, new directions. Barrier: an obstacle impeding access, circumstance, communication, movement and forward progress; whether tangible or intangible; a hindrance to positive outcomes. We dive into the many areas of healthy benefits of HUmic Acid Mineral, reported by Dr. Josh Axe. Life Changing Benefits and Uses of HUmic/Fulvic Acid MINERAL. Thank you for your questions, comments and sign-ups on our Eat From The Heart program. Brochures go out April 15th. Eat From The Heart sign-up or additional questions 888-765-0087. Humineral Healthy Share: Got a Good Gut? Here at HUmineral, our mission is health, through nutrition; specifically MINERAL nutrition, as all our Hu-Healthy followers know well. Humic MINERAL is a FOOD in supplement form. HUmineral product is 100% chemical free, USA product and non-GMO. Our next few HU Healthy Shares, will bring you information from Dr. Josh Axe and his reports on the health benefits of Humic/Fulvic Acid MINERAL for several areas of health. This month we will look at Leaky Gut and the road to Good Gut Health. A healthy GUT is essential to overall health. Humic and Fulvic acids contain a plethora of nutrients that improves gut health, including: trace minerals, electrolytes, fatty acids, silica (which boosts collagen synthesis), pre-biotics and probiotics. These help nourish the digestive tract and also boost the ability of “good bacteria” to repopulate and form a healthy “microbiome” environment. We need a strong digestive system to build immunity, help control hormone production, regulate our appetite, reduce our stress response and much more. As a result of gut permeability (when particles are able to escape through the gut lining and enter the bloodstream where they should not normally be), inflammation is triggered and autoimmune reactions can occur. There is some evidence that consuming humic/fulvic acid mineral promotes a healthy intestinal tract and immune system (digestive disorders and other issues, including: SIBO symptoms, small intestine bacterial overgrowth, inflammatory bowel disorders, bacterial infections (respiratory, urinary tract, etc. ), or the flu and common colds. HUmineral Humic Acid Mineral products are 100% RAW, Vegan, Chemical free, undiluted, USA product. Gluten, Soy, Dairy, Nut, Wheat, Sugar FREE, and non-GMO. Available: Liquid, Vegetarian Capsule and a Face/Skin/Hair Body SKIN SPRAY for all ages. Kiefer D, Ali-Akbarian L (2004). “A brief evidence-based review of two gastrointestinal illnesses: irritable bowel and leaky gut syndromes”. Alternative Therapy Health Medicine 10 (3): 22-30. Pike, M. G.; Heddle, R. J.; Boulton, P.; Turner, M. W.; Atherton, D. J. (1986). “Increased Intestinal Permeability in Atopic Eczema”. Journal of Investigative Dermatology 86 (2): 101-104. Humbert, P.; Bidet, A.; Treffel, P.; Drobacheff, C.; Agache, P. (1991). “Intestinal permeability in patients with psoriasis”. Journal of dermatological science 2 (4): 324-326. Humineral Healthy Share: Let There Be Sunshine! 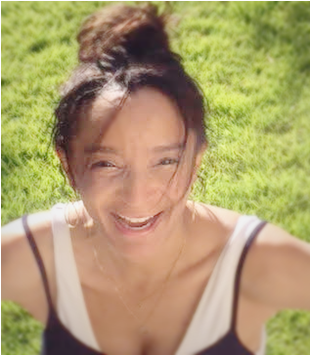 Healthy tips to experience more sunshine days and less anxiety. Seasonal Affective Disorder, S.A.D. This is a vitamin D deficiency. We only make vitamin D from late March through October depending on where we live. Between October and the end of March, the suns rays are too low in the sky for us to make our own. Those of darker toned complexion and those living in the Northeast U.S. are the most prone to the condition but nearly everyone gets it because we can only store 3 months worth of vitamin D in our bodies. So, by the end of December through March everyone is deficient. One of the deficiency symptoms of vitamin D is depression. The highest rate of broken bones occurs during this December-March window, despite the fact that there’s less out-door activities during this time. This is also the time when most suicides occur, January through March. 5-HTP:(5-Hydroxy-tryptophan) – A naturally occurring amino acid and precursor; and metabolic intermediate in the biosynthesis of neurotransmitters, serotonin and melatonin, from Tryptophan. Serotonin levels in the nervous system are essential for many aspects of our daily lives: responsible for feelings of well being and normal sleep patterns. Serotonin plays an important role in controlling anger, aggression, body temperature, mood, sleep, human sexuality, appetite, and metabolism. Obesity, PMS, migraines, depression, anxiety, insomnia and addictive behavior have all been associated with low levels of serotonin. So, if you have ever experienced the rush of nonstop “to do’s” syndrome: never enough time between work, kids, family, school activity, traffic clog, getting car serviced, going through divorce, planning a graduation, a dinner party or a trip and you find yourself having a “less than sunny” moment, day or week (because we all do at times), pick up bottle of 5-HTP, and Vitamin D for your cupboard. Usually 4,000 IU per day is good. Take your Vitamin D with a meal that contains some fat. If you don’t take them with a meal that contains fat, they won’t absorb properly. Usually you will notice a difference within a few days. **If you are one that takes pharmaceutical anti-depressants, (SSRIs), such as Prozac, Lexapro, etc., you should NOT supplement with 5-HTP as it could result in too much serotonin in your system. 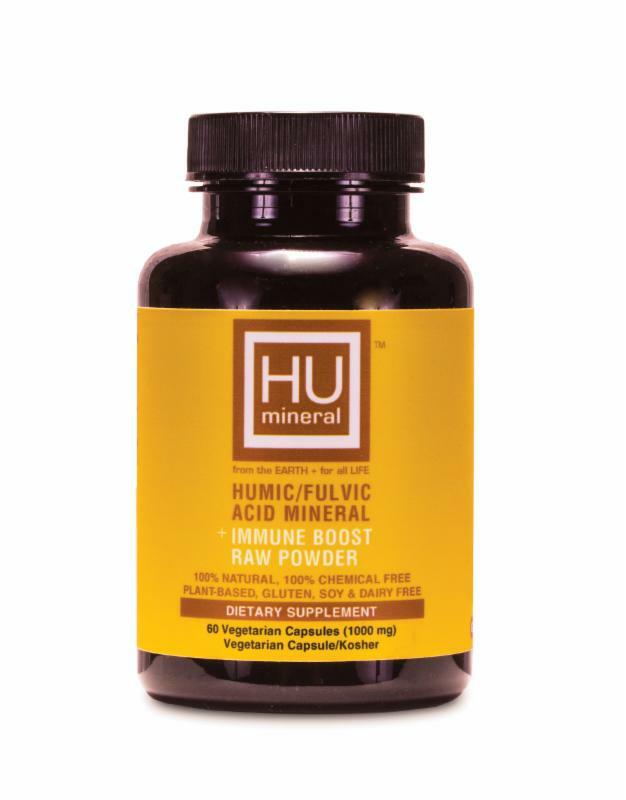 **HUmineral HUmic Mineral aids absorption. 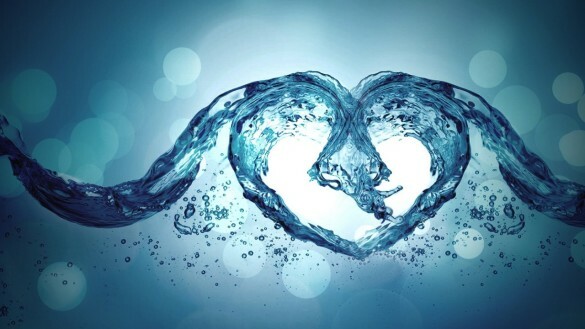 See our BLOG on water, collagen, absorption and hydration. A program to empower and keep us mindful daily. This fully customized program is not another diet, but a long-term “daily” LIFESTYLE changer. For all you HU Healthy followers, you know HUmineral’s motto is Healthy is a LIFESTYLE. There are no start and finish dates. 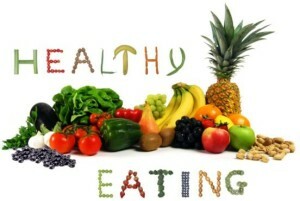 Only DAILY healthy choices for everyday life to keep you on track and achieving the best YOU. You will receive, a one-on-one nutrition coaching session, a customized food shopping list, healthy alternatives will be provided for allergens, and gluten, soy, dairy intolerances, recipes for health and more. For further details and information, email Valerie@humineral.com or 888-765-0087 to request mailed information. You may view Humineral’s website for Eat From The Heart testimony or go here Eat From The Heart Testimony. STAY TUNED AND IN TOUCH: We will be bringing you more information and healthy life choices available through HUmineral, from Yoga goods to healthy eats! WATER, a necessity. MINERALS, a necessity. Collagen – an abundant substance in the body, along with water. 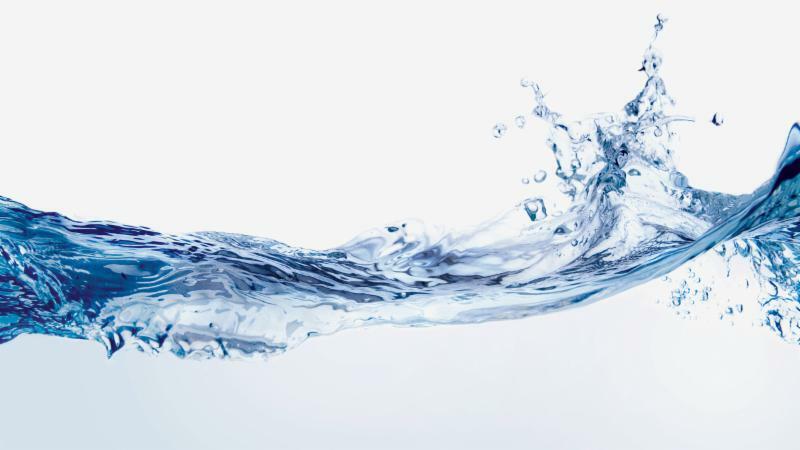 Hydration and oxidation – Our body’s collagen production peaks around 30ish years of age. The aging process begins and we start to notice dull/grayish and/or dry patchy and spotty skin, some wrinkles, acne and other skin blemishes that we never had before. And of course the other physical bodily aging signs, partly due to declining collagen levels that decrease the body’s fluid moisture levels. Slathering on external non-transdermal “beauty” based anti-aging products won’t help long term or internally. 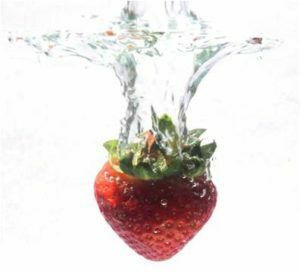 Hydrating and nourishing our cells internally will. This is where it’s most important. If our cells are feed, hydrated and healthy, our bodies are healthier. 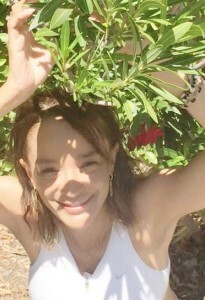 We all must age to benefit seeing our families, children, businesses grow, to travel and enjoy the many other joys awaiting us as we evolve and move (age) through life. These are all good reasons to age and to help ourselves age HEALTHY. Here at HUmineral we get cellular with health and we don’t believe in anti-aging. We believe in HEALTHY AGING at every stage of life …. 6 to 126, wherever you may fall! Humic mineral allows absorption. It carries nutrients to the body, nourishing and hydrating the body and cells, absorbing only what the body can use. We drink water and believe that we are hydrating. If we are not getting cellular, with a carrier to the cell, we are not best assisting the body to HEALTHY long-term aging. We need our bodies to maintain healthy hydration levels. Collagen and water are friends. Collagen is located everywhere in the body. It assists water storage within the body and aides fluidity and also hydrates tissue. 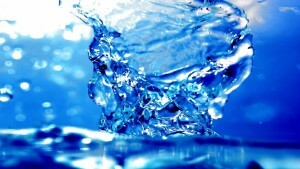 Water is needed for hydration so collagen can be absorbed, humic mineral aids this absorption, a key carrier component. Also be mindful, healthy weight management is crucial for health and hydration. Body fat lowers ability for absorption. Dehydration in the body can lead to long term systemic issues; cognitive memory function, inflammation, joint pain issu es, lack of mobility and flexibility. Once we experience joint/bone pain issues, we become more susceptible to injuries to our hips, knees, hands and even back issues. Humic mineral aids reduced inflammation in the body, while supporting healthy detox, energy, focus, pH balance, enzyme, muscle/joint and thyroid function. It provides every mineral the body requires, delivering poly-phenols (antioxidants), and life giving electrolytes. Oxidation – the addition of oxygen to a molecule or the removal of hydrogen from a molecule. (Oxidising agents give oxygen to another substance or remove hydrogen from it). Reduction – the addition of hydrogen to a molecule or the removal of oxygen from a molecule. (Reducing agents remove oxygen from another substance or give hydrogen to it). Music has brought individuals together for centuries. Whether in the living rooms and basements (if you are an east coast or mid westerner) of our homes or one of our nations many concert venue halls world wide. Music can be calming, healing, motivating, thought provoking, uplifting …no matter the genre, everyone can find their beat. And lets not forget dancing to music is not only fun but a great form of workout. Thus the surge in zumba, merengue, ballet, ballroom and other dance styles offered in studios and fitness establishments. I am always incredibly filled with joy when I get to experience a persons deepest genuine passion and talent, and get to see them actually pursuing it. Some, so unassumingly but daily and passionately. This was Andrew Orvis, Health Nutritionist Manager at Rainbow Acres in Culver City, CA. I had no idea he was a musician, he has always been extremley health focused in our communications over the years. In a recent visit and interview with Andrew, he shared his “other side” (which we all have, and are hopefully tapping into or will, sooner than later). Andrew first became involved in nutrition while attending music school in Boston (Berkeley School of Music). He needed a position to get him through school and started working at the local Whole Foods, where he eventually ended up in the Nutrition Department. After which he worked for an established Supplement Manufacturer as a consultant and educator before landing is current Health Nutritionist post at Rainbow Acres in Culver City, CA. In addition to Andrews holistic skills, he is one of the founding members of State To State Band. Since releasing their first LP, No Bounds, in 2014, State to State have established themselves as flag bearers of atmospheric rock, while looking to create a new path for themselves in a landscape forged by bands like Muse, Radiohead and Interpol. On limited tours of the west coast, they brought a stadium-sized sound into smaller venues and left audiences from San Diego to Seattle, converts to the cause. In addition to recent residencies at The Hotel Cafe and The Viper Room, out of Los Angeles, CA and outdoor events like Eat See Hear & Showtime’s Street Food Cinema, they are busy enlisting new recruits at venues throughout the southwest and beyond. The dynamic landscape of ambient guitar textures, anthemic riffs, and haunting melodies from vocalist/guitarist Shea Stratton, and guitarist, Andrew Orvis, is well navigated by the authoritative rhythm section of drummer, Feudor Lokshin, and bassist, Patrick Morgan. “My Little Phony” is the first single off of their forthcoming EP, Motives, which was produced and recorded by Grammy-nominated Producer/Engineer, Ian MacGregor (Katy Perry, Twenty One Pilots, All-American Rejects, Ariana Grande) at Greg Wells’ Rocket Carousel Studio in Culver City, CA. Motives will be available digitally and physically on Feb. 5th, 2016. With tour dates in the works throughout 2016, they have their eyes set on the rest of the country. 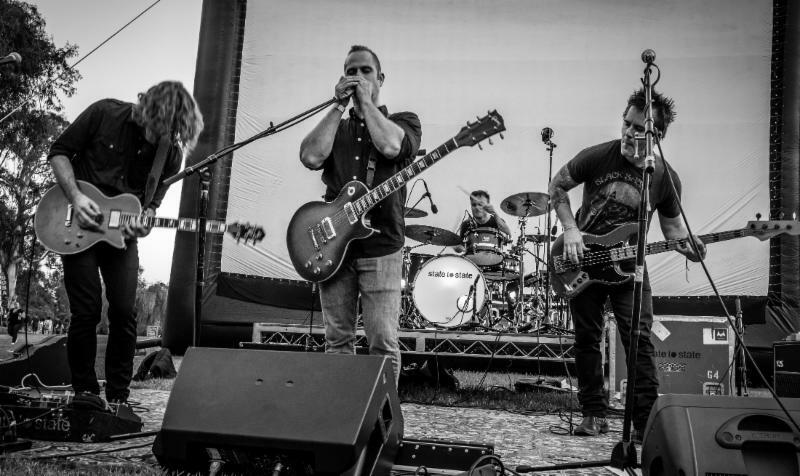 State to State Band participated in a crowd-funding campaign for their new EP that releases on Feb 5th, so the public could pre-order the new record, purchase T-shirts and other merchandise to help them fund the making of the record. State To State donated 10% of the funds earned beyond their goal, to “Musicians on Call” – a charity that provides live music to the bedsides of hospital patients that would not have access otherwise. Talented and caring, we love this at HUmineral. 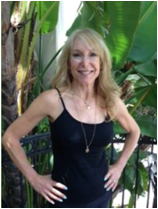 Stay tuned and in touch for more HU-Healthy Shares, information on our “Eat from the Heart” program with Humineral fitness training specialist and dietician Valerie Rutherford, and Hu-Healthy tips and products for healthy lifestyle (nutrition, travel, fitness, music and more), every area for every body. And the beat goes on ……. HEALTHY is a lifestyle and multifaceted. a purpose, separate of ourselves. 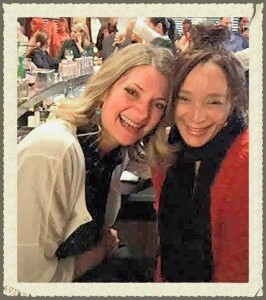 Celebrating BFF Kellie’s, move to Utah, Park City ski slopes… here we come! For many, it’s DETOX time as we begin a new year. Most of us live in urban areas, so that with every breath, we are exposing our body to toxins. Every day, as we breathe, we take in toxins. CLEANSING our systems… ALWAYS important! To assist our Hu-Healthy pursuers, we are offering a $10 discount on our Zeolite daily Detox/Cleanse (w/HUmic Mineral), throughout February. Please call 888-765-0087 for discount. It is not offered on-line. 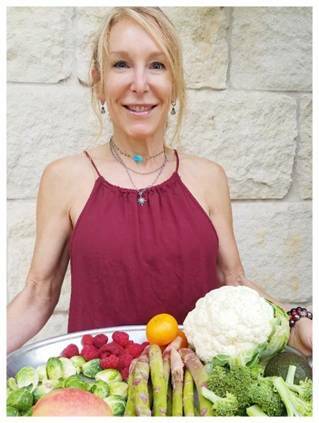 Additionally, to all our new Hu-Healthy Texans in the Austin area, we are offering a free one-hour in-studio workout/nutrition class in our Austin, Texas studio with Valerie. Offered through the month of February. Email Valerie@humineral.com for your appointment.